Our Brands - Mad Dogg Athletics, Inc. 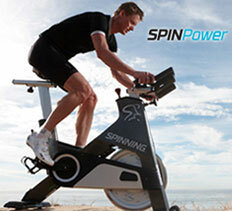 The Spinning program is the global leader in indoor cycling training, education and equipment. Uniquely tailored to suit a wide range of abilities and fitness goals, the Spinning program and patented Spinner® bikes deliver a personalized workout, incredible calorie burn and personal challenge—all at a self-directed pace. More facilities choose Spinner bikes and Spinning education than any other indoor cycling program. Why? Because our 15 years of experience, brand recognition and reputation for superior education make for enticing, exciting classes that keep riders coming back again and again. The Resist-A-Ball program was developed by Mike and Stephanie Morris in 1993 and in 2008, the brand partnered with Mad Dogg Athletics. Resist-A-Ball is more than a ball—it's a systematic fitness program that is unmatched in the category. In addition to the leading brand in stability balls, Resist-A-Ball offers the most comprehensive programs available, complete with instructor education, programming, DVDs and marketing support. With Resist-A-Ball, you'll gain access to exercise programs and sequences that create a playful yet challenging environment for fitness enthusiasts of all levels. The Ugi system was created by celebrity personal trainer, Sara Shears, who has trained clients such as Salma Hayek and Rosario Dawson. Sara's lifetime of professional training and innovation led her to develop this high-intensity interval workout combining core, strength and cardio training into a fun and challenging 30-minute workout. Designed specifically for realistic and sustainable results, Ugi is a fast and effective training style aimed at boosting your energy and health while helping you feel good about your body. 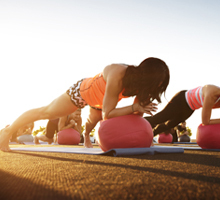 The Ugi ball has the squish of a beanbag, the bounce-back of a stress ball, and the beauty of simple design, so you can accomplish a total-body workout with one tool. Available in four weights. CrossCore, Inc. is a manufacturer of advanced "Rotational Bodyweight Training™" products, functional training racks and accessories. Its one-of-a kind Patented pulley systems adds rotational movements to continuously engage the core and the entire body to create highly effective training. Both of CrossCore's premier products, the War Machine® and CrossCore180®, highlight the importance of educational fitness training from the high school level to clubs and professional sports teams. Additionally, CrossCore® products offer high versatility with the easy addition of accessories including kettlebells, gymnastics rings, straps, and sandbags. CrossCore® allows all levels and ages of users- fitness enthusiasts, sports performance athletes, military personnel, mixed martial artists. CrossCore's rotate to engage products are distributed in the U.S. and Internationally and supported by an educational program that is accredited by premier education providers such as NASM and ISSA.